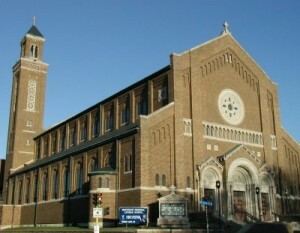 Holy Cross is a Roman Catholic parish serving the neighborhoods of Northeast Minneapolis. As part of the Archdiocese of St. Paul and Minneapolis, we are in communion with Archbishop Bernard Hebda and the Catholic Bishops of the world and strive to be faithful to our inheritance—the deposit of faith preached through the ages—the saving Gospel of Jesus Christ. As a multi-campus parish encompassing four houses of worship (Holy Cross, St. Clement, St. Hedwig and St. Anthony of Padua Chapel at Catholic Eldercare) we have a presence in different quarters of this simultaneously historic and up-and-coming corridor of Minneapolis situated along the eastern bank of the Mississippi, from Hennepin Avenue running north to 37th Avenue. This territory is both our home and our mission-field. The Gospel is our seed. We strive to serve all those who live in close proximity as well as those who come from a distance to find abundant life through the Sacraments, reverent liturgy, sound Catholic teaching, authentic community and openness to those in need. Our unifying standard is the glorious Cross of Christ, the instrument of the salvation of the world. We seek to stand beneath the Cross as Mary did on that Friday called Good, steadfast in faith. As the world spins, the Cross stands firm. We also claim as our patrons the namesakes of the formerly independent parishes that make us up—may our trio of patrons, St. Anthony of Padua, St. Clement of Rome and St. Hedwig, pray for us to God as we likewise strive to give courageous witness to the splendor of Catholicism. When the committee of Polish Catholics in Northeast Minneapolis learned that they would be able to have a Polish priest, they asked the Bishop of St. Paul, John Ireland, for permission to build a church. The Articles of Incorporation for the Church of the Holy Cross (Bazylika Świętego Krzyża) were signed by Ireland on 21 August 1886. The cornerstone for the present structure of the church was laid on 4 July 1927, and Archbishop Dowling celebrated the Dedication Mass on 16 September of the following year. Holy Cross church possesses one of the most beautiful and classical church interiors in the Archdiocese, having undergone several renovations since its first construction. Outstanding features are the detailed stained-glass windows in the nave, with its icons of biblical figures, saints, and doctors of the Church; the rose window over the organ loft, the breathtaking sanctuary with its pillars and altars of Italian marble, and the stained-glass windows hovering over the altar, depicting the Seven Sacraments. Our 1130am Sunday Mass is the only Polish-language Sunday Mass in the Archdiocese. It is preceded by the Sacrament of Confession in Polish or English at 11am. The roots of St. Hedwig trace back through the century of its life to the seed that fell alongside of its parental tree, Holy Cross parish. 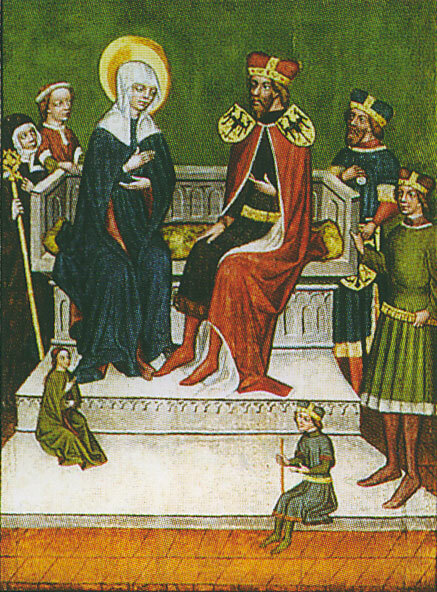 Named after the thirteenth century Duchess of Silesia, St. Hedwig is Patroness of Poland (and of wise and strong women!). The first Mass at St. Hedwig was celebrated on Christmas Day, 1914. The Polish immigrant community in NE, rapidly growing at that time, justified the parish expansion, which was made possible when sixteen devoted Catholics together made a substantial financial contribution toward the purchase of the six lots on the west side of University Avenue where the church and school would be built. St Hedwig is the spiritual center of the attached River Village Catholic Eldercare community. Saint Clement Parish had its beginnings in April 1902 in a little white frame church at 25th Avenue and Quincy Street with the arrival of the first Pastor, Reverend Robert Fitzgerald. Father Fitzgerald organized the construction of the present church with the laying of the cornerstone on September 7th, 1913. The new building was dedicated by Archbishop John Ireland on May 24th, 1914. The church is named for Clement of Rome, Pope and Martyr of the first century of Christianity. In Pope Clement's Letter to the Corinthians we see the earliest post-Biblical evidence of the exercise of the Roman Primacy. Ecce Crucem Domini, Fugit partes adversae, vicit Leo de tribu Juda, Radix David, Alleluia! "Behold the Cross of the Lord, flee you armies of the enemy, for the Lion of the Tribe of Juda, the Root of David, has conquered, Alleluia!"